The quaint French Louisiana town of Ville Platte was such a welcoming home town for a recently transplanted Texas family. Scrumptious food, friendly people, and a Cajun culture that enchanted us drew us into this unfamiliar way of life. One of my favorite spots was one of the many local meat markets where the little old man who owned the market spoke to me in French (I don’t know any French) and probably enjoyed seeing the bewildered look on my face. Buying our first Louisiana home in the piney woods north of Chicot State Park, our closest town was Ville Platte (which means flat town), which was ten miles away traveling down a hairpin-curved, tree-lined road each day. The trip into town each day made you feel as though you were on vacation, the way the forest gently caressed the pavement and teemed with wildlife. (Once, we actually saw someone who stopped after running over a squirrel and pick it up.) At the end of that road was our charmingly small Christian school, where both of my children attended and I eventually became principal. Times were pretty rough for our little school back then. Because of some pretty steep tuition hikes over the past few years and parental concerns over the campus not having a junior high or high school, our enrollment in the K3-6th grade campus had dwindled from the peak of 120 to fewer than 60 students. It was the only Protestant school and one of only two private schools in the area. Being a satellite campus of a larger school in Opelousas, there was support despite the projected budget loss for the year. The staff was top-notch, and parents did all they could do to help. If the campus was to survive, we needed more community support. After much prayer, an unorthodox idea to express the urgency of the situation to our local pastors came to my mind. They had started a local ministerial alliance and were willing to allow me to speak at their next meeting. 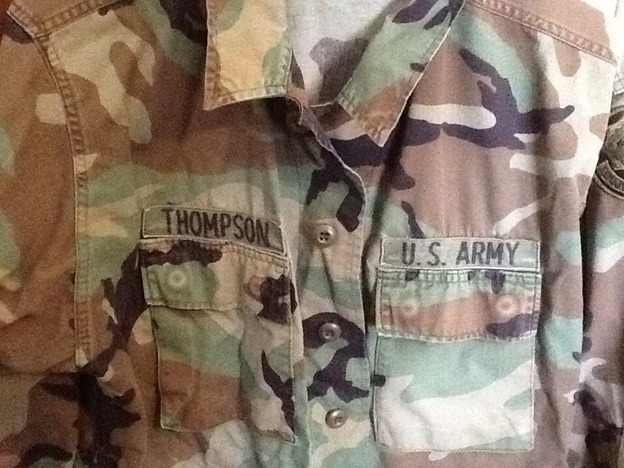 I am a deer hunter, and my husband had purchased me a used set of camouflage army fatigues from a traveling vendor. It may seem crazy, but this girl felt God nudging her to wear my deer hunting attire to the meeting to emphasize the war we were engaged in for the hearts and minds of the elementary children of the area. Needless to say, I didn’t tell many people about this plan, but I had the few people who knew praying that God would use this act of obedience to communicate the need to the pastors. That fated evening, I dressed in the camouflage pants, jacket, boots, and even hat to attend the meeting and started out for the meeting. Excited about doing something that God asked of me and scared because I might look like a fool, I felt like I was on a real mission. Because it was in a church located in a neighborhood I was unfamiliar with, I found myself at the wrong church. Imagine me stepping out of my car all decked out in camo and finding out from someone standing outside the church that it was not the church I was seeking. After an awkward conversation and a few laughs, I left and finally arrived at the meeting. Looks on the pastors and priest’s faces were priceless, even the pastor who allowed me to speak. If God was up to something, they had not gotten the memo. When it was my turn to speak, I passionately described the grave situation of our campus. I demonstrated by my improper meeting attire and Holy Spirit inspired speech that we needed their help as fellow leaders in the work that God was doing through our school in Ville Platte. Although no one laughed at my ridiculous outfit, most did not seem overly concerned about my message. Had I really heard from God or was I going mad? You know, sometimes you just blindly obey what you feel God wants you to do, even if you feel it sounds crazy, and trust Him with the results. That night, I left the meeting without knowing if my mission was accomplished. As the year progressed, it became evident that the campus would not be open the next school year. Once that was announced, I became aware of the significance of my night in camo. Unbeknownst to me, one of the pastors, who happened to be an avid duck hunter and new to Ville Platte, was moved by God when he saw and heard me that night. His church entered into an agreement that ownership of the campus would be transferred to his local church for the next year. Talk about a great turn around for what could have been so tragic! Fifteen years later, the school is still thriving under godly leadership. Is there something God is asking you to do that you fear might jeopardize your reputation? Remember that Jesus made Himself of no reputation and humbled Himself to the point of the cross. Who knows what might happen if you just obey and trust Him with the result. I think of the time God used a praise band instead of an army to bring victory or when he had an army march around a city and blow a trumpet before He knocked down the wall. He uses the foolish things of the world to confound the wise and accomplish His purposes so He, alone, gets the glory. Maybe you’ll never have to be a principal who wears camouflage fatigues to a ministerial alliance meeting in the heart of Cajun country, but when the call for some out-of-the ordinary act of obedience comes, what choice will you make?